Smoking is injurious to health. Hands down. It does not only affect your lungs & other vital organs but also is a grave remorse to your eyes. Smoking along with the consumption of other unhealthy beverages such as caffeine & alcohol increase the risk of corneal infiltrates & dry eye syndrome. It is also known to reduce contact lens tolerance. Everything that leads to dehydration, leaves deleterious effects on eyes. Ocular complications such as inflammation, eye sores, and irritability with contact lenses are commonly seen in smokers. Eyes are the only organ that draw their oxygen from the environment than from the body. Contact lenses, unfortunately are a hindrance in swift oxygen permeation to cornea that further leads to dry eyes when the consumption of alcohol or tobacco is high. 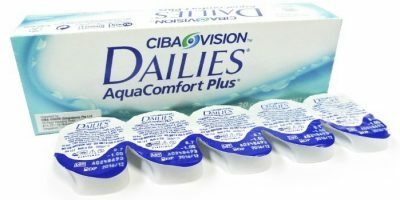 Though temporary dryness caused by contact lenses can be relieved by using lubricating drops; it is to be noted that smokers seem to get no positive results due to them being slow-poisoned. Smoke from cigarette and chemicals when enter into the blood stream restricts the blood-flow to retina which causes itchy eyes or dry eyes that makes contact lens adherence almost impossible. Keeping your eyes moist is the key to sparkling & youthful eyes. Use contact lens compliant re wetting drops to balance the tear chemistry. Since tears help contact lenses to float; it is imperative to pay the utmost attention to irritable or stingy sensation in eyes. As per doctors you must drink an additional cup of water for every round of alcohol & or caffeine to keep yourself adequately hydrated. “A cigarette is a pipe with fire at one end and a fool at the other”. Quit smoking- the sooner, the better! Your eyes are not worth the risks!